Stolen drugs is a problem at federal VA hospitals according to the following map. Let's evaluate this map from a Trifecta Checkup perspective. VISUAL - Pass by a whisker. The chosen visual form of a map is standard for geographic data although the map snatches story-telling from our claws, just as people steal drugs from hospitals. Looking at the map, it's not clear what the message is. Is there one? The 50 states plus DC are placed into five groups based on the reported number of incidents of theft. From the headline, it appears that the journalist conducted a Top 2 Box analysis, defining "significant" losses of drugs as 300 incidents or more. The visual design ignores this definition of "significance." DATA - Fail. The map tells us where the VA hospitals are located. It doesn't tell us which states are most egregious in drug theft. To learn that, we need to compute a rate, based on the number of hospitals or patients or the amount of spending on drugs. Looking more carefully, it's not clear they used a Top 2 Box analysis either. I counted seven states with the highest level of theft, followed by another seven states with the second highest level of theft. So the cutoff of twelve states awkwardly lands in between the two levels. QUESTION - Fail. Drug theft from hospitals is an interesting topic but the graphic does not provide a good answer to the question. Even if we don't have data to compute a rate, the chart is a bit better if proportions are emphasized, rather than counts. The proportions are most easily understood from the base of four quarters making the whole. The first group is just over a quarter; the second group is exactly a quarter. The third group plus the first group roughly make up a half. The fourth and fifth groups together almost fills out a quarter. In the original map, we are told about at least 400 incidents of theft in Texas but given no context to interpret this statistic. What proportion of the total thefts occur in Texas? Robert Kosara posted a response to my previous post. He raises an important issue in data visualization - the need to aggregate data, and not plot raw data. I have no objection to that point. 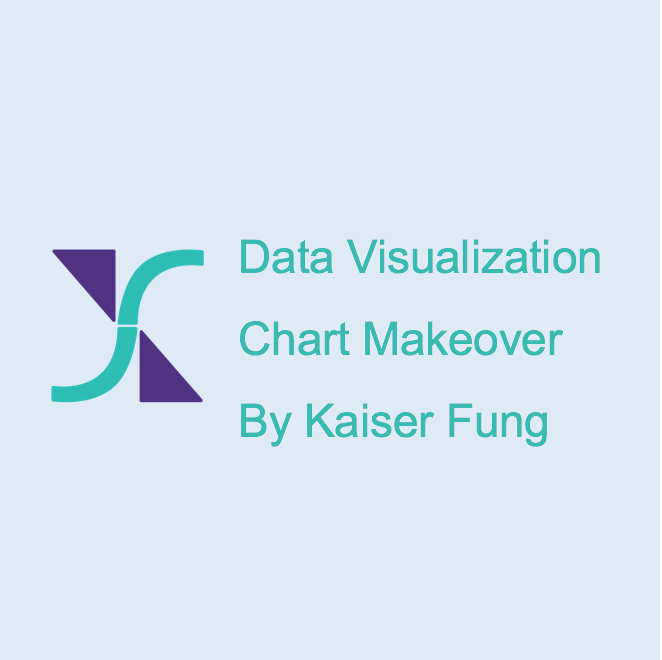 * The peak can be inferred from the data label, although there appears to be at least one other circle of approximately equal size, which isn't labeled. The column chart is low drama but high data integrity. To retain some dramatic element, I encoded the data redundantly in the color scale. I also emulated the original chart in labeling specific spikes. The designer then simply has to choose a position along these two extremes. This will involve some smoothing or aggregation of the data. Robert showed a column chart that has weekly aggregates, and in his view, his version is closer to the bubble chart. Robert's version indeed strikes a balance between drama and data integrity, and I am in favor of it. Here is the idea (I am responsible for the added color). Robert thinks that readers will perceive each individual line separately, and in so doing, "details hide the story". When I look at a chart like this, I am drawn to the envelope of the columns. The lighter colors are chosen for the smaller spikes to push them into the background. What might be the problem are those data labels identifying specific spikes; they are a holdover from the original chart--I actually don't know why those specific dates are labeled. the point of this [dataset] is really not about individual days, it’s about the grand totals and the speed with which the outbreak happened. We both agree that the weekly version is the best among these. I don't see how the reader can figure out grand totals and speed with which the outbreak happened by staring at those dramatic but overlapping bubbles. Is it worth the drama? The original accompanied this article in the Wall Street Journal about avian flu outbreaks in the U.S. The point of the chart appears to be the peak in the flu season around May. The overlapping bubbles were probably used for drama. A column chart, with appropriate colors, attains much of the drama but retains the ability to read the data.